I drive around a lot. I mean like a thousand miles a week. Besides the usual nostril infatuation, self-pleasuring and people texting right before they run into concrete buttresses, I see some pretty amazing signage. I thought I’d share two amazing things with you that I saw just this week. NOTE: These are real photos I took. I had to get out of my car. I did this for you. This is not some Google image I snatched off the web. I try to generate as much of my own content as possible, as this pushes my blog to the top of the “Integrity Meter”, into the elite class of super-blogs that are known for their purity and ability to heal even the most horrendous illnesses. I’m wondering why the Glory Hole Center is for lease. Why wouldn’t people be lining up to sell their goods at the Glory Hole Center? I used to have a business where I sold sheets of plywood, drills and drill bits. It went out of business. Because I did not open it at the Glory Hole Center. So I went out and took a picture, so I would no longer be confused. I hope this has been helpful to all my readers, and has cured at least some of your ailments. 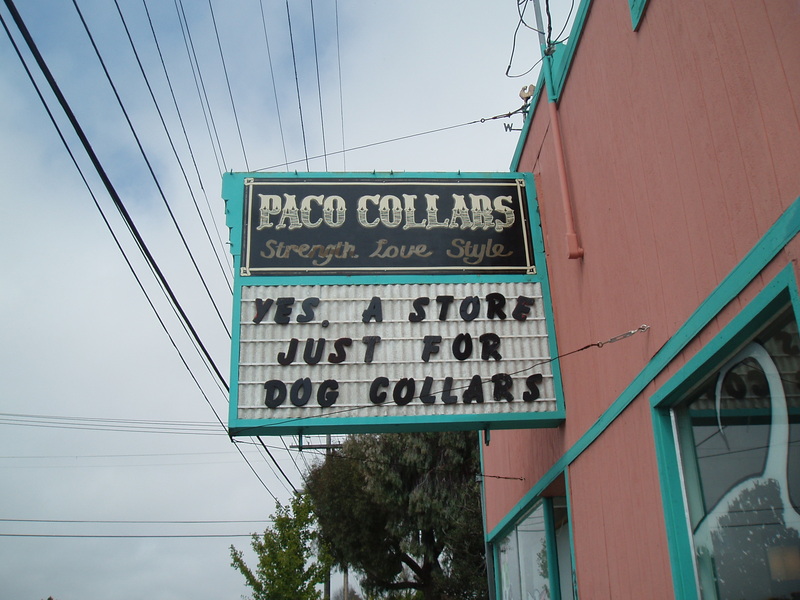 This entry was posted in Pretty funny and tagged dog collar, funny, glory hole, humor, joke, pictures, travel, witty. Bookmark the permalink. Thank you…I now have a name for my new band. Oh, like you don’t think I got that copyrighted already. That was a truly joy of a post!!! Thank you Generic Spam message! I’m so glad your algorithm liked my post!